There are a great many curses in all the major sports. The Cubs have the curse of the Billy Goat. The Red Sox had the Curse of the Great Bambino. Birmingham City Football suffered the 100 year curse. Hell, even individual players and competitors have suffered from curses ala the Madden and Taladega Curses. 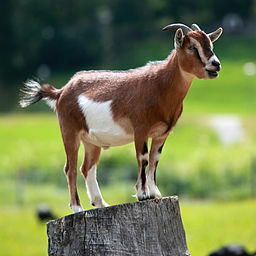 Move over Billy Goat, Joe Smith is the newest curse on the block!! Well, Minnesota Timberwolves’ fans might be in the middle of a brand new curse: the Joe Smith Curse. For the unfamiliar — or for those who chose to forget — prior to the start of the 2000 season, Wolves GM Kevin McHale signs free agent big man Joe Smith to a contract that involves payments both above and below the table. This was an unbelievably stupid move. Like asking Todd Kincannon to speak at an NAACP rally stupid. How McHale was allowed to remain GM is, to this day, one of sports’ great mysteries. I would love to see the dirt he must have on Wolves owner Glen Taylor. It is either photos of ole Glen doing his best Marv Albert or he has the name and address of Taylor’s Marino-like love child. Taylor’s TMZ moment aside, the botched Joe Smith signing had an immediate impact (the league takes the Wolves’ 1st round draft pick for the next 5 years) and, even worse, it has been the beginning of a run of bad luck that would make even the most ardent Cubs fan blush. McHale is allowed to return as GM. This cannot be said enough. He quite literally paid a player under the table, a direct violation of league policy — heck — a direct violation of the how dumb can you be policy, and he returned to his role with the team only a year later. We are not off to a good start. The Wolves capitalize on having no first round picks for the next two years and draft the great Loren Woods and Marcus Taylor. I would add more, but those picks are pretty self-explanatory. Everything changes in 2003, Hall of Fame player and Hall of Infame GM Kevin McHale drafts Ndudi “DooDoo” Ebi. He is the Wolves first 1st round pick since the Smith debacle. He is currently averaging a double-double for S.S. Felice Scandone in something called Serie A. In 2004, the Wolves finally put together enough talent to support the Big Ticket and, all of sudden, the NBA championship is a very real possibility. After surviving the Kings in a seven game slugfest, the Lakers/NBA/referees dash any hopes the Wolves have of claiming their first NBA championship. 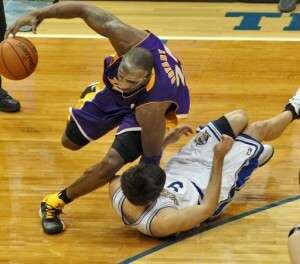 In particular, the phantom foul call on Wally Szcerbiak playing “Wally” defense against Kobe. The following year, despite retaining the same supporting cast, the Wolves fall apart and miss the playoffs for the first time in the KG era. They have not been back since. That team was then dismantled, in part because of Sprew’s desire to feed his family and in part because the chemistry was so off from the year before. Roy was outstanding for the Blazers (after the Wolves traded him) — he has played only minutes this season. 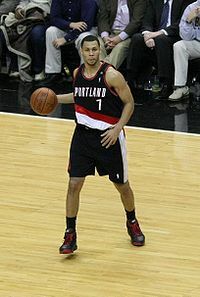 To help replenish the talent level around KG, the Wolves draft Brandon Roy. They then inexplicably trade Roy for the great Randy Foy. Roy goes on to a terrific career with the Portland Trail Blazers, playing the role of closer in the 4th Quarter, the exact role the Wolves needed to fill. Foy does his best Troy Hudson-impression, jacking up inopportune 3s with frightening regularity. Aside from the Roy trade, management also locks up the services of Corey Brewer and Rashad McCants via the draft. Let me just say that again, Corey Brewer and Rashad McCants. The lack of playoff performances finally force management’s hand. The Kid gets traded to Boston for $.66 on the $1.00. He promptly wins an NBA Championship. The Wolves struggle to break 20 wins because Big Al fails to defend with the same effectiveness that he scores in the low post. Boston’s defense becomes one of the best in the league — anchored by KG. The Wolves draft one of the best power forwards in the league, Kevin Love, and all of sudden, things are finally looking up. Love averages 20+ points and 12+ rebounds for the first few years in the league. 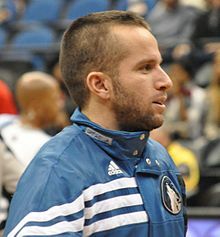 There is a huge opportunity to turn the corner but David Kahn does his best Kevin McHale, drafting Jonny Flynn (mind you Steph Curry is staring him in the grill and it is not like the Wolves have always needed a shooter), Ricky Rubio (who promptly signs a deal with FC Barcelona), and then approximately 16 other PGs (including Ty Lawson – who is traded to Denver). More misses in this draft than a Craig Ferguson monologue. Just brutal. Rubio looked like the Spanish Savior — then the curse took effect. Now he is still trying to find his form following serious knee surgery. La Pistola finally decides he has had enough of Euro hoops and he makes his way across the pond. The Wolves squad is electrified. An annual bottom-feeder is immediately transformed into a contender. The Black Mamba destroys the Wolves franchise worse than he did the…in…Denv…well, you get the point. Rubio tears an ACL defending Kobe. Wolves fans start to wonder if they should start bathing with the toaster. All of that brings us to this season. The Wolves projected starters have played a total of zero games together this season. Butkus. Squat. Nada. So, rather than list all of the injuries — including Love’s freak knuckle push-up calamity — and depress you any further. I will just let that little stat sink in. As soon as you have come to grips with that, it is easy to understand that there is something bigger than all of us going on here. This curse is very real. Here is hoping we exorcise it sooner than later. Remember, if you need tickets to watch the Joe Smith Curse in action, skate on over to Ticket King. They have got all your ticket needs covered for local sporting events — especially the Timberwolves. In the spirit of the season, the Wolves gave back to their fans the ultimate gift: a healthy Kevin Love. Out of nowhere (so it seemed), Love returned to the starting lineup tonight. And Love made up for lost time with a first half that had Wolves fans mapping out the parade route. 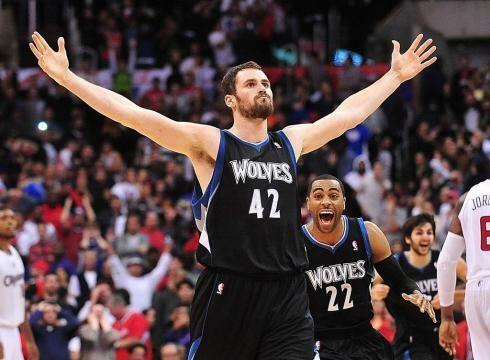 The return of Love has Wolves nation thinking big. Love had 16 points and 6 boards in the first quarter on his way to 22 and 8 in the first half. Those 16 first-quarter points accounted for 62% of the team’s scoring. Not bad for a guy that missed the first 9 games of the season. Riding the emotion of Love’s unexpected return and his hot shooting, the Wolves took a commanding 14-point lead into the half. A victory seemed all but a formality. But the emotion was left in the locker room. Poor shooting from the field and line ultimately did in the Wolves as the Nuggets pulled out the win. Putting aside the outcome, this was an exciting night for Wolves nation. Love was joined by Pek and JJ in returning to the floor. All of a sudden, a team that couldn’t field more than 9 players, had so many players that D. Will didn’t see the floor (a topic for another post). Wolves nation was finally starting to see what this team will look like when healthy. And the potential is promising. The starting five is a work in progress until Rubio returns. But, you can see the makings of a strong starting lineup. Pek and Love are efficient scorers in the post that rebound with the best of them. AK47 is a jack-of-all-trades type player that scores, rebounds, defends, and hustles on every possession. 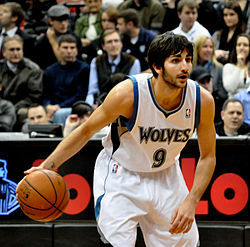 He’s simply the perfect compliment to Pek and Love at the 3-position. The Wolves still don’t have a 2 so long as they keep Shved in his 6-the man and 4th quarter role. Though, that could change if Roy somehow returns from another knee operation – not counting on it at this point. Once Rubio returns, the bench becomes 7 deep: Ridnour, JJ, Cunningham, Shved, Stiemsma, Howard, and D. Will. It’s a nice compliment of players too, each with a critical role to the team’s success. In JJ and Shved, you have two playmakers, capable of creating scoring chances for themselves and others. Howard, if his knees hold, plays a similar game to AK47, and can be a strong defender and outlet scorer. And my personal favorite: Cunningham. He’s battles for every rebound and loose ball, never gives up on a possession, and he has a strong mid-range game. You saw these players’ potential while Love, Pek, JJ, and Budinger fell to injuries. These role players stepped up and played gritty, fighting to a winning record. Shved showed he belongs and isn’t afraid of the big-shot. Cunningham showed the tenacity that has quickly become his hallmark for this squad. And AK47 did a little bit of everything to lead this young team; the savvy veteran. Now when healthy, it’s a matter of finding that balance and settling into their respective roles. Some may consider this next statement overblown hyperbole, but it hopefully proves not to be: tonight may be the start of a new era for Wolves nation. With a healthy Love surrounded by a roster that has quality talent and depth, this team can develop into a playoff team not only this year, but also in the years to come. Finally, a team we can all be thankful for this Thanksgiving season. Playoffs?! Playoffs?! We Talking Playoffs! 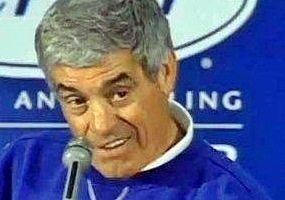 Yes, Mr. Mora, we talking playoffs! At the halfway point of this shortened season, both local squads – the Pups and Bucks – are talking playoffs. Of course, talking playoffs doesn’t mean both or either of the teams will actually make the playoffs. In fact, if either team makes the playoffs, it’d be a bigger surprise than Darko resembling an actual NBA player. Simply talking playoffs is an accomplishment for the Timberwolves. A franchise mired in terribleness since gifting an NBA Championship to the Celtics in the infamous KG trade, the Pups have risen from the abyss on the shoulders of both K. Love and Rubio. With the emergence of Pekovic and the promise of D. Will., the Pups have the building blocks in place to be annual playoffs contenders in years to come – assuming Kahn doesn’t screw it up. Here’s hoping the Utah Jazz are not lottery bound and, thus, sending their first-round pick to the Pups. A shooting guard that can actually shoot would go a long ways for this squad. K. Love is going to need to be as clutch during the second half of the season. But, as far as this year is concerned, talking playoffs is the only accomplishment members of the Team of 1707 can expect. At 17-17 at the midpoint of the season, the Pups stand in 10th place in the conference, one game back from the 8th spot – Portland Trailblazers. The reason for pessimism is the Wolves schedule coming out of the break does not set up well with a back-to-back-to-back gauntlet against both LA teams and Phoenix, before getting one day off to travel to a critical game at Portland. Following this road stretch, the Wolves experience deja vu (and not the fun kind off Washington Ave.) when they play host to Lob City, Portland, and the Lake Show in a five day stretch. This stretch will test the mettle of the young squad and ultimately decide whether we will still be talking playoffs two weeks from now. The moment the Bucks playoffs chances limped away. As for the Bucks, a 13-20 record at midway point doesn’t show much hope for a playoffs spot. But, in the Eastern Conference, they are still only 2.5 games back of the aging Boston Celtics, who currently man the 8th spot. With rumors rampant that the Celtics may be breaking up the Big (read: Old) Three, the eighth spot is up for grabs in the East. Two years removed from a playoffs battle with the Hawks, the Bucks season outlook was promising on the premise Jennings would continue his growth and Bogut was healthy. Unfortunately, when Bogut went down, so too did the Bucks season. The Bucks were 7-7 at the time of the injury, and have since gone 6-13. To have any shot at claiming that 8th spot, the Bucks need to start quick in the second half. Unfortunately, like the Pups, the schedule does not set up well. An easy home game against the Wizards/Bullets/Mental Midgets only serves as a pre-season warmup game to a gauntlet of playoff teams: Celtics, Hawks, Magic, 76ers, Bulls, and Knicks. Jim Mora might be correct that playoffs is absurd to mention with this squad, but crazier things of happened. I mean, a twice cut, Harvard grad, Asian-American is leading the New York Knickerbockers towards the playoffs. Who knows, maybe Ersan Ilyasova’s 29/25 evening last week is the start to his massive run. Ok, never mind, but when you have Brandon Jennings, every game is winnable if he gets that lefty stroke going like Mick at Pebble (yup, I just compared a kid Straight Outta Compton to a 40 y.o. chubby, perma-smile golfer). We talking playoffs, just not making the playoffs. The Fear the Deer and Rubionation campaigns will have to wait until 2013. Michael Beasley, the player formally known as the Wolves starting SF, may have finally found a niche that suits his game, and most importantly fills a Wolves need perfectly – The 6th Man. No one can question B-Ez’s talent. The guy is uber athletic and is really the only Wolf that can create his own shot. But, he’s also a Randy Moss clone in that he plays when he wants (just ask Cris Carter). Add in that he doesn’t contribute much defensively, and is often a black-hole on the offensive end. 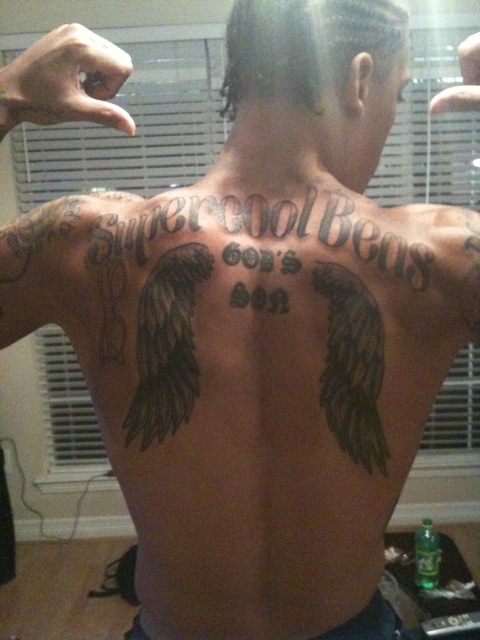 And, well, that’s the enigma of B-Ez ,or SuperCool Beas as he had scribed across his back (real quick – take a look at the lower right background… he must be Snoop’s nephew). 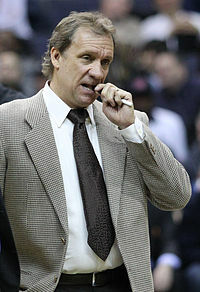 B-Ez started at SF for the Wolves’ first seven games before going down with an injury. The injury was a blessing in disguise. Averaging 31 minutes per game as a starter, SuperCool Beas (I’m pretty sure a junior high girls basketball player could come up with a better nickname than this… like, that’s SUPER cool) put up 12.9 ppg on 39% shooting. Additionally, the numbers don’t begin to tell the story of how poorly B-Ez’s game initially gelled with El Pistola. Any flow that El Pistola brought to the floor was quickly erased when B-Ez got his mitts on the ball and looked to take his man off the bounce. Simply put, B-Ez and El Pistola were a worse pair than Nicki Minaj and the Grammy’s. The offense stagnated, and the team fell to 2-5. After sitting 11 games with an injury, B-Ez has returned to the lineup in his new 6th Man role. The results have been much more positive for both B-Ez and the squad. The starting five have a certain rhythm without B-Ez on the floor. K. Love and El Pistola are becoming a force pick-and-roll duo. True, the Wolves still don’t have a strong starting SF (Wes Johnson – the first knuckleball shooter in the NBA). But, B-Ez brings exactly what the second string needs – a go-to scorer who can create his shot. The second group does not have the maestro at point to create open shots for others. B-Ez can go to work off the bounce and still create production for the second group. Since taking over in this new role, B-Ez has better numbers – 14.3 ppg on 45% shooting. And when he’s on, like the night he dropped 34 at Houston, he stays on the floor during crunch time.